I graduated from the University Of South Alabama with a BS degree in Speech Pathology/Audiology/Education. I had two years of Creative writing courses before changing my major to Speech. I have always written stories and poetry. I taught and was a speech therapist to deaf and multiple handicapped children. Art allowed me to keep the attention of my easily distracted students. 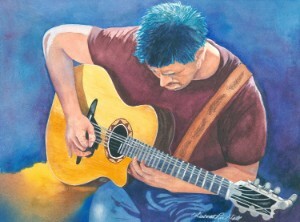 I have painted with acrylic, oil, and pastels however watercolors have found a home with me. I love the movement of color and water on paper. My studio is located in my home, and most of my work is in private and personal collections. My paintings are also displayed in several Restaurants in Mobile, Alabama. I have studied under Jim Conlon, for drawing and acryllic; Verna Bryant for oil, Chris Hartsfield, Wayne Spradley, Bill Morris, Corky Goldman, Judi Betts, Stan Miller, Don Taylor and Lian Quan Zhen for watercolor, and Val Webb (for drawing and illustrating) with colored pencils and watercolor. Since 2011, I have been honored to have my watercolor paintings juried into the Maritime Exhibit at the Museum Of Mobile, Mobile Art Association Art Shows, Colors of the Coast Art Shows and Bay Rivers Art Guild’s members Judged Shows, Daphne Alabama Art Center, Alabama Watercolor Society state and National shows, Louisiana Watercolor Society Show, and the Georgia Watercolor Society Art Show and The Southern Watercolor Society Show. 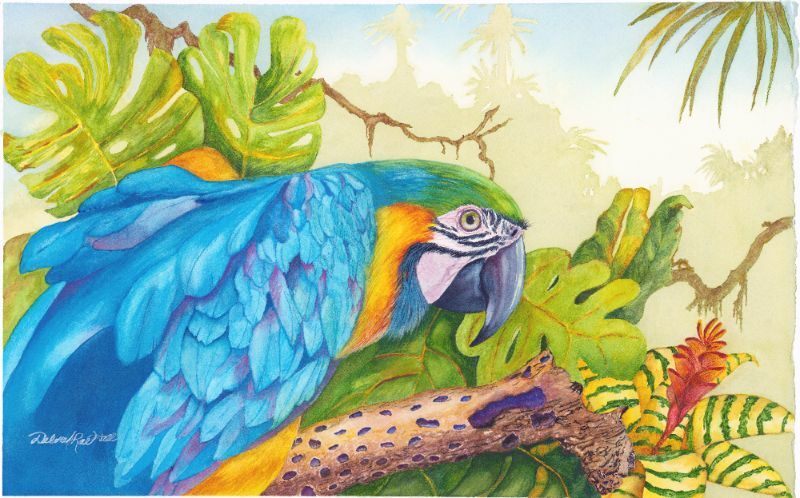 I am a member of Mobile Art Association, Watercolor and Graphic Arts Society of Mobile, Louisiana Watercolor Society, Georgia Watercolor Society, National Watercolor Society, and the Southern Watercolor Society. I was the first “Featured Artist”, at the Dauphin Island Heritage and Art Council. Several of my paintings have won: Honorable Mention, Certificate of Excellence, Third Place (with three different paintings), and Second Place. Watercolor is a passion that has helped me to discover the artisan within my own soul. My true reward is the integrity of each painting. I continually take workshops and try new things. I have been blessed to glean from so many wonderful artists and hope I may help others seeking to grow in the arts. I live in Mobile, Alabama with my husband of 44 years. We have one Son, Drew, a daughter in law and two adorable grand daughters. The four year old grand daughter is becoming quite the artist painting with her Nana (me)!